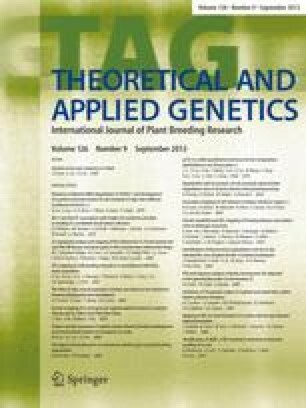 Understanding the distribution of genetic diversity within and among individuals, populations, species and gene pools is crucial for the efficient management of germplasm collections. Molecular markers are playing an increasing role in germplasm characterization, yet their broad application is limited by the availability of markers, the costs and the low throughput of existing technologies. This is particularly true for crops of resource-poor farmers such as cassava, Manihot esculenta. Here we report on the development of Diversity Arrays Technology (DArT) for cassava. DArT uses microarrays to detect DNA polymorphism at several hundred genomic loci in a single assay without relying on DNA sequence information. We tested three complexity reduction methods and selected the two that generated genomic representations with the largest frequency of polymorphic clones (PstI/TaqI: 14.6%, PstI/BstNI: 17.2%) to produce large genotyping arrays. Nearly 1,000 candidate polymorphic clones were detected on the two arrays. The performance of the PstI/TaqI array was validated by typing a group of 38 accessions, 24 of them in duplicate. The average call rate was 98.1%, and the scoring reproducibility was 99.8%. DArT markers displayed fairly high polymorphism information content (PIC) values and revealed genetic relationships among the samples consistent with the information available on these samples. Our study suggests that DArT offers advantages over current technologies in terms of cost and speed of marker discovery and analysis. It can therefore be used to genotype large germplasm collections. We thank our colleagues at DArT P/L and CAMBIA for helpful discussions and colleagues in CIAT for DNA extraction. Special thanks are extended to Cyril Cayla and Grzegorz Uszynski for help with data analysis and to Eric Huttner for his help with drafting the manuscript. Ling Xia and Kaiman Peng contributed equally to the manuscript.